Scott Hollingsworth Magic provides amazing magic shows. 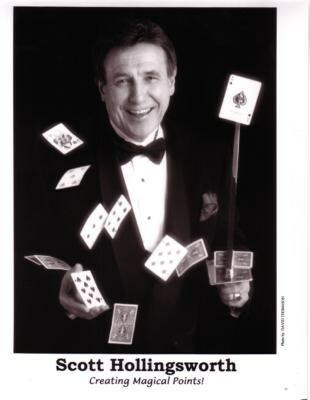 If you want a fabulous, professional magic show that you and your guest will truly enjoy—contact me. Whether you need a birthday party show, an office party, reception, stage show or close up (interactive magic) we will work with you to find out exactly how you want your event to flow and produce the best possible results. Plus, you'll have a good time doing it! Scott Hollingsworth is everyone's favorite magician. A party isn't a party if it doesn't have Houston's best children's magician. Scott Hollingsworth performs completely self-contained magic shows that last for up to 45 minutes (the ideal time for youngsters' attention spans). These shows are perfect for birthday parties, schools, churches, and children's summer camps programs. As a corporate magician and entertainer, I work with corporate event and meeting planners and those organizing large or small parties who are challenged to come up with new, unique and innovative concepts for their events to stand out. These functions are a major investment and I realize that many people struggle to find a truly interactive and engaging way to connect with their audience and sell their message. I am a magician entertainer who specializes in close up, walk around and stage magic for a wide variety of events including cocktail and dinner parties, banquets, hospitality events, anniversaries, trade shows and other various celebrations. I am dedicated to the success of your event and I will work with you to ensure your event is memorable and talked about long after it's over. Your quest will love to see magic up close and personal. Scott's walk-around sleight of hand magic consists of brief interactive magic routines for individuals and smaill groups while they are seated or standing. He is a master sleight of hand artist and your guest will be delighted as cards, coins and other objects come to life in Scott's hands. Make your event fun and entertaining! Contact me now! 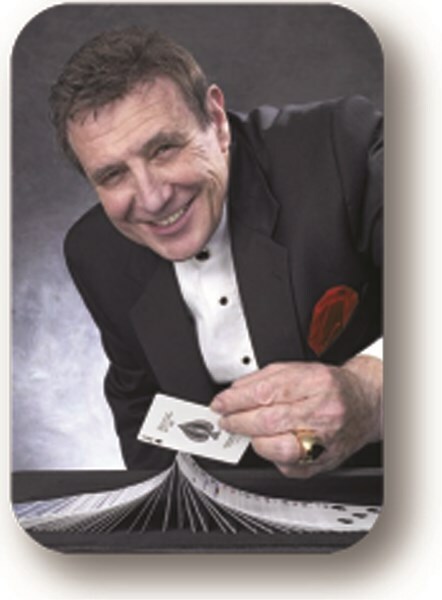 I booked Mr Hollingsworth for closeup magic at my daughters 15th birthday party. Our guest ranged from ages 6- over 60. As he went from table to table I constantly heard excitement and screaming as her performed his act. 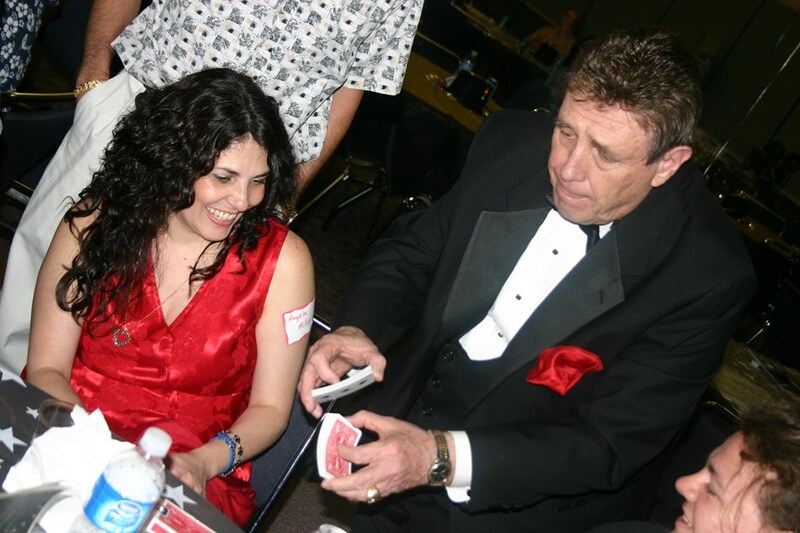 I was able to with witness a few trick that left me in awe, wondering “how did he do that” I was very please and al lot of my guest even asked for his business cards for future events. If your looking for professionalism and a great act, book him today. Thanks Mr Hollingsworth for driving all the way to orange to accommodate our needs. Scott was phenomenal! He was professional and courteous before, during, and after the event. I had requested a close-up magic performance, and he went around the party from table to table performing for all of my guests. Everyone was charmed and amazed. His magic was fantastic, as was his chatter and personality. I could not have asked for a better experience. It was exactly what I was hoping for. Thank you, Scott! Scott was very funny and entertaining! Our guests had a great time and we would definitely invite him back at our next event! I can’t say enough great things about Scott! He was amazing with the kids AND adults. All of my guests loved the show! He has a great way of including all the guest and keeping everyone’s attention. His magic is really magical! I will definitely hire him again. Such a huge hit! He was the highlight of the night. He added laughter and magic. Many guest were seriously stunned by the magic. Thanks Scott and gigmasters. Scott was a pleasure to have and all of our friends enjoyed him. My husband loves magic so was pleased to see someone else do magic tricks better than him! Scott was a pleasure and I would highly recommend him for entertainment! Please note Scott Hollingsworth Magic will also travel to Bellaire, Galena Park, Alief, North Houston, Missouri City, Pasadena, South Houston, Stafford, Humble, Sugar Land, Channelview, Pearland, Fresno, Deer Park, Katy, Spring, Cypress, Klien, Friendswood, Manvel, Thompsons, Barker, Highlands, Kingwood, La Porte, Webster, Crosby, Richmond, Porter, Rosharon.